Hello All, this is my first post in what seems to be a great forum! I fish almost exclusively salt water in NJ bays and shores from a modest fiberglass 17' boat paired with a 90hp yamaha, BUT we are taking a family vacation to the Ithica, NY area and I want to try my hand at some freshwater fishing! 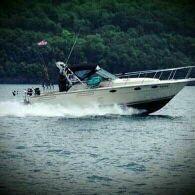 We plan to be there Aug 24, the boat will be docked on Southeast Cayuga Lake Shore and has a range of about 10mi on a 12 gallon tank. My boat is mostly setup for bottom fishing, drifting for flounder, anchoring over wrecks/reefs for seabass, porgies etc. 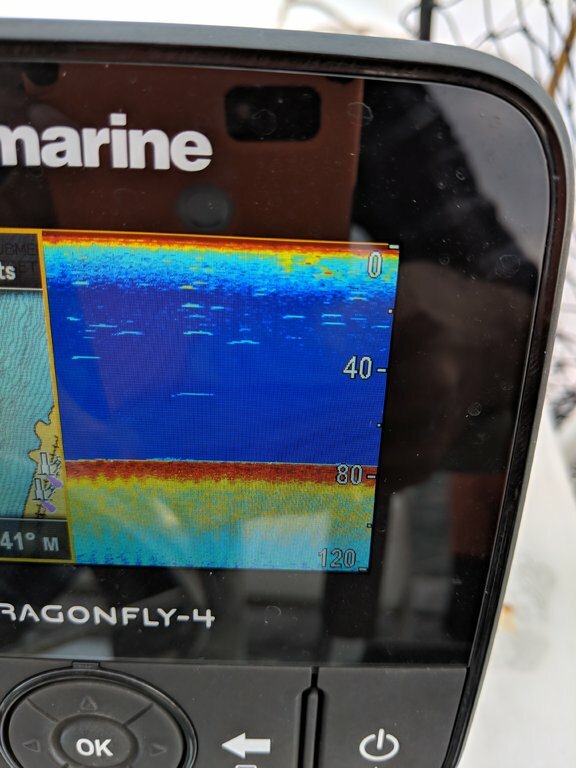 I do some trolling for striped bass, using mojos (do you guys know what they are?) but no downriggers etc. My gear consists of: 3 spinning rods spooled with braid between 20-30lb test. 3 conventional trolling rods spooled with 50lb braid. I'd like to try to locate fish and vertical jig them, but I don't think my 30lb braid on my spinning setups will be able to get a 1/2oz lure down deep enough, also the wind may not cooperate. I don't mind trying to troll with 3 way swivels if possible, but not sure about the fleas and braid issues. What is the easiest (cheapest) way to get ready for lake trout, brown trout, anything in Lake Cayuga?? Please recommend some lures, rigs, bait options that gives us the best chance to explore this new fishery! Thanks for the replies! I think I am ready to hit this hard, unfortunately still a whole month to go. 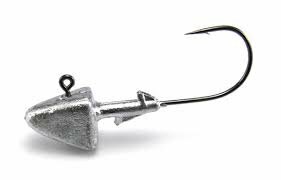 Do you guys use gulp alive to jig? Is there any difference between saltwater gulp and freshwater gulp? I have tons of gulp soft plastic and the flounder over here destroy it. Although gulp may work....the mental set you adopt is more important than the bait itself. 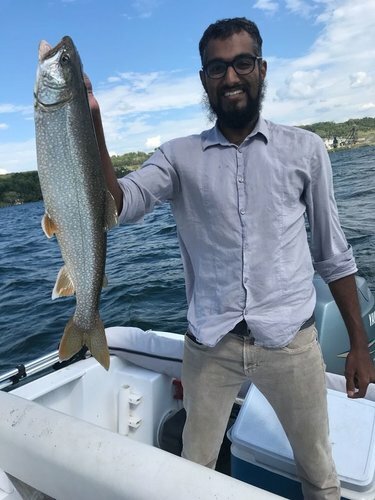 These lake trout also feed while suspended as well as on the bottom so they are a little different than the primarily bottom oriented fluke or flounder so they are fished somewhat differently. They respond well to the tubes and plastic shad or flukes on the jig while actively jigging them. Makes sense. Seems like sometimes they like it on the drop, sometimes on a faster retrieve. Dumb question.. does the style of jig head matter? Mine look like this while it seems most in FLX use ball head. I use both the round head and the one pictured. Not a dumb question....I think the presentation is actually more important than the jig itself some folks use them unpainted. I favor white colored ones and usually use the ball type but if you have active fish below you and "tease' them with the action of the jig and bait they don't seem to care what the shape of the jig is. 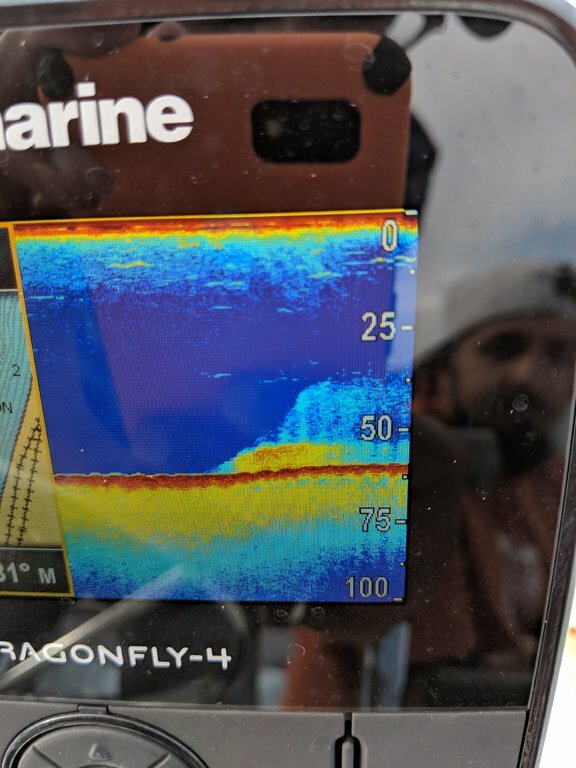 A lot of the success comes from watching your depth finder being able to spot the jig, its action, and the response of the fish to the action and then exploiting that relationship to get them to hit. 1 oz I use in shallower. Taz... 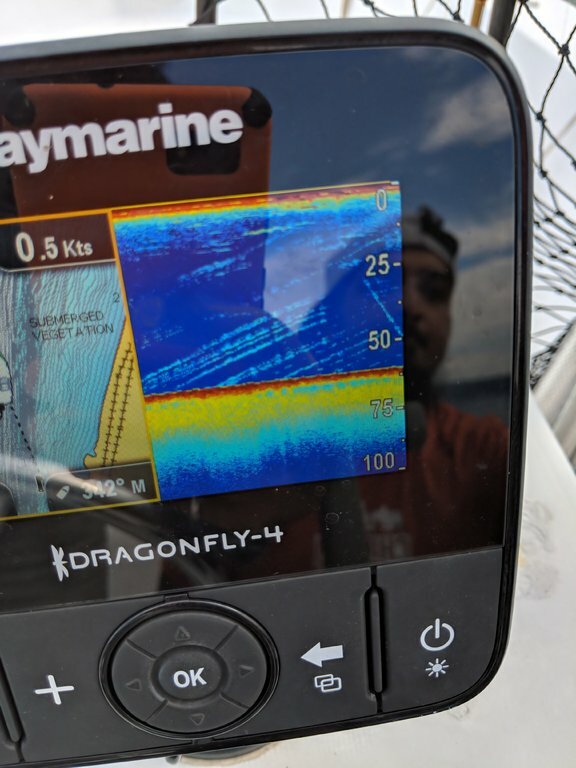 I have caught a lot of lakers over the years on Hopkins , Avas, 1 oz Kastmasters, Crocodiles etc.. they will hit Bluefish/Sriper/weakfish jigs, which you already own..Gulp might work, but its not needed really..
main problem you will encounter is staying vertical. Cayuga lake is generally a lot more windy than the nearshore atlantic and the bays.. lots more fishable days in your area than there are at cayuga on a yearly basis..
Day one was a few bumps and one follow all the was to the boat. 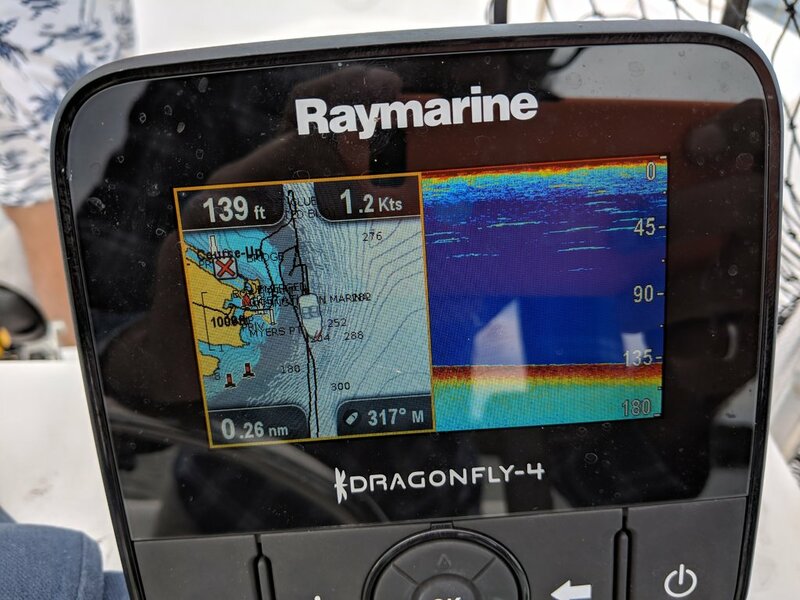 Launched from Myers at 7am, fished mostly the power plant and a little bit South of Myer's. We marked a ton of stuff but not lot committing. Mostly marks were suspended mid water. We trolled half the time with dipsy divers spin doctors and flies. I don't think the divers were getting deep enough. Then when they finally would tick bottom to get an idea how deep they are they'd be full of weeds. Gonna try jigging around Myer's tomorrow. What do you guys see in these sonar readings? Is that a baby octopus on your finger tip? What's the story behind that? Yup baby octopus we found while scuba diving. Not sure what kind it is. Very old photo, not sure how it became my profile photo. Now a days we wouldn't we picking up stuff while diving. Mission accomplished. Couldn't have done it without you guys. Thanks so much for your help. Got out for another 45 minutes and hooked up in 90FOW on a white swim shad. Perseverance will prevail! !- congrats to your first Laker!! Best way to catch any fish!!! Imo. 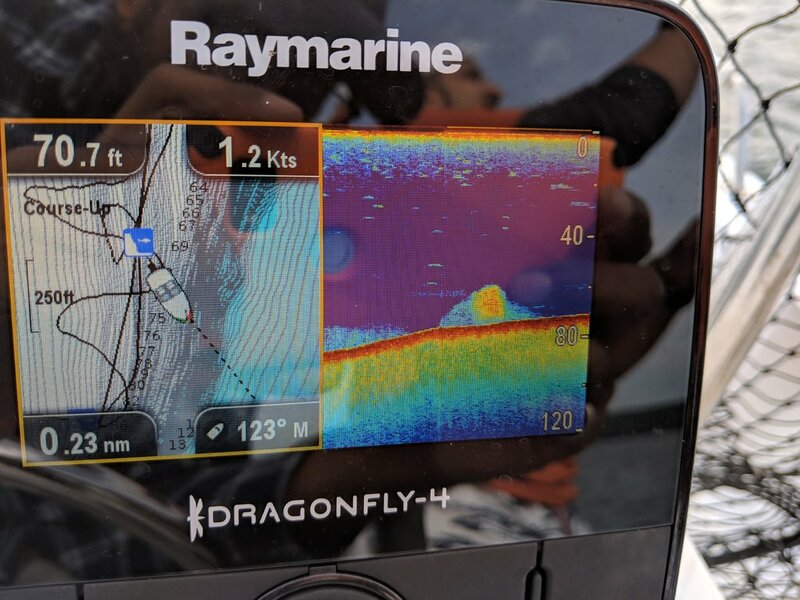 Jigging is king. Good for you! The first few lakers I successfully jigged were a religious experience.